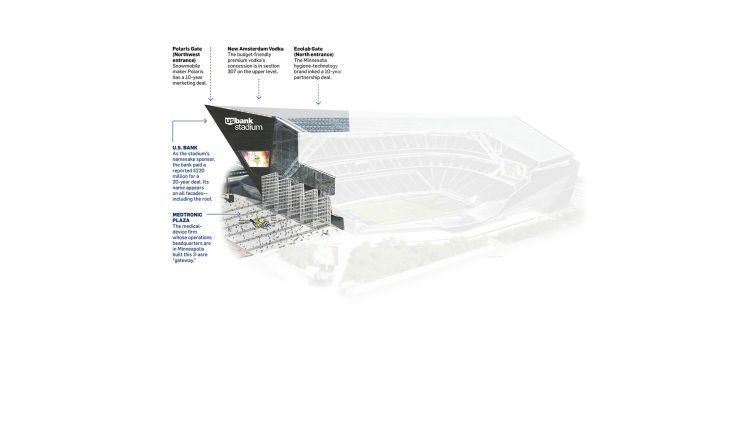 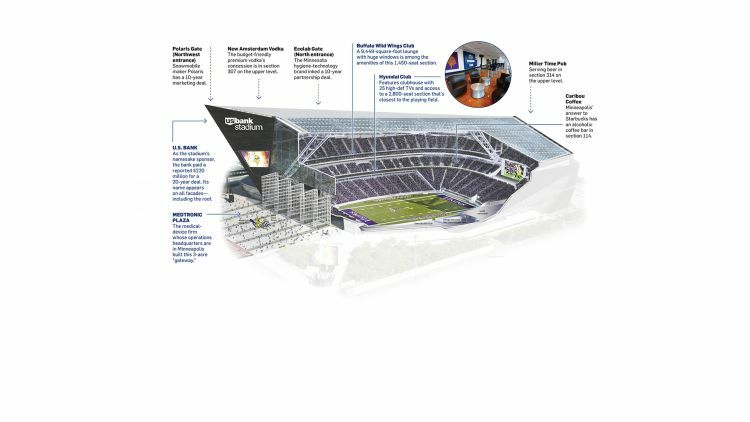 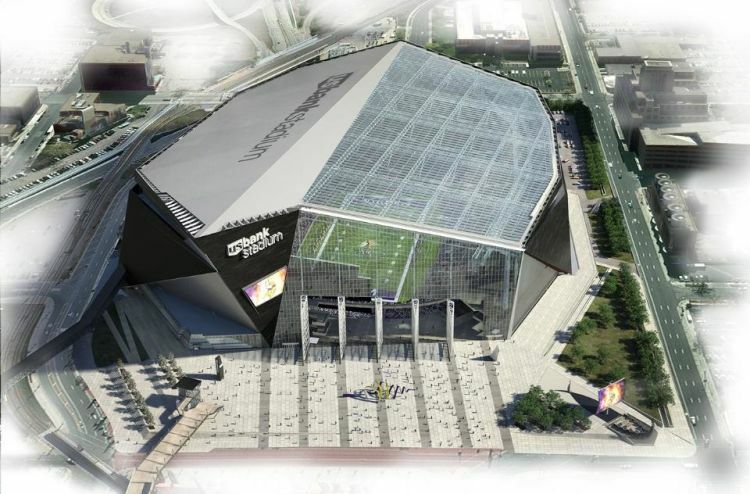 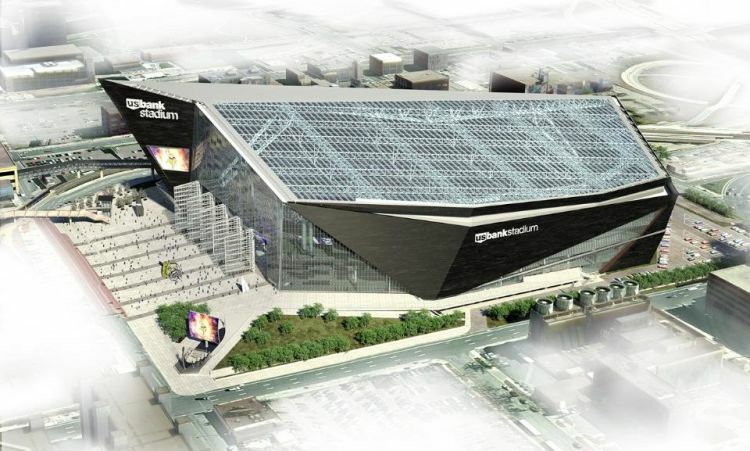 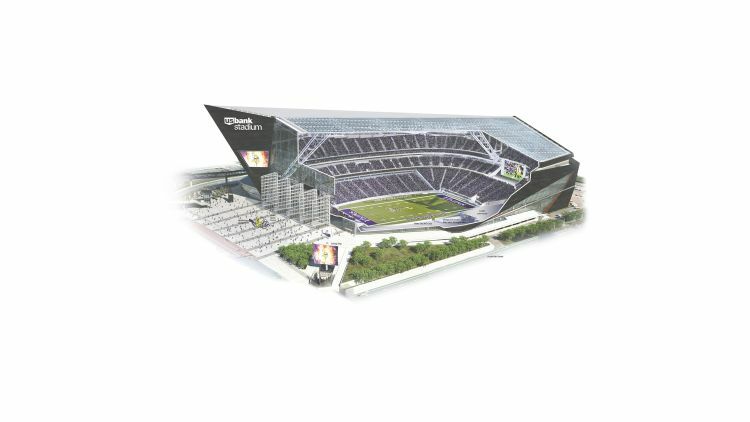 According to the official fact sheet, the stadium that will host Super Bowl LII was designed to resemble “ice floes colliding on frozen lakes” near Minneapolis and “the jagged geology that once de ned nearby St. Anthony Falls.” It’s a thoughtful nod to the rugged beauty of the Upper Midwest. 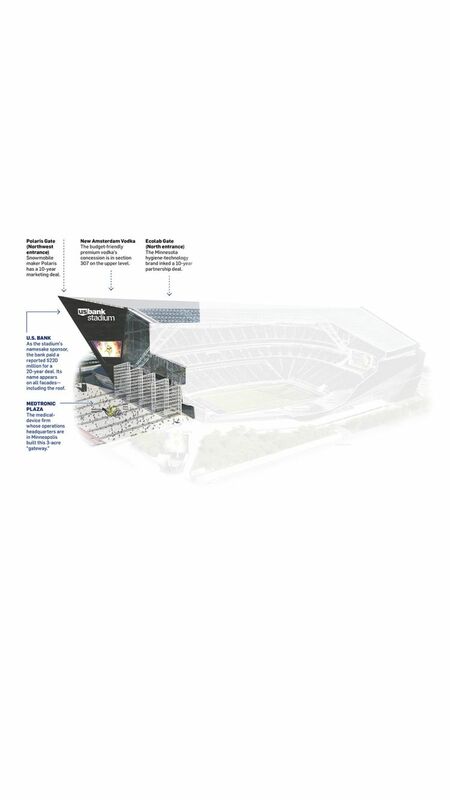 Even so, odds are that the 111.3 million viewers who see the stadium on TV won’t see frozen lakes or ice floes: They’ll see U.S. Bank, whose corporate name appears on all sides of the venue, including the roof. 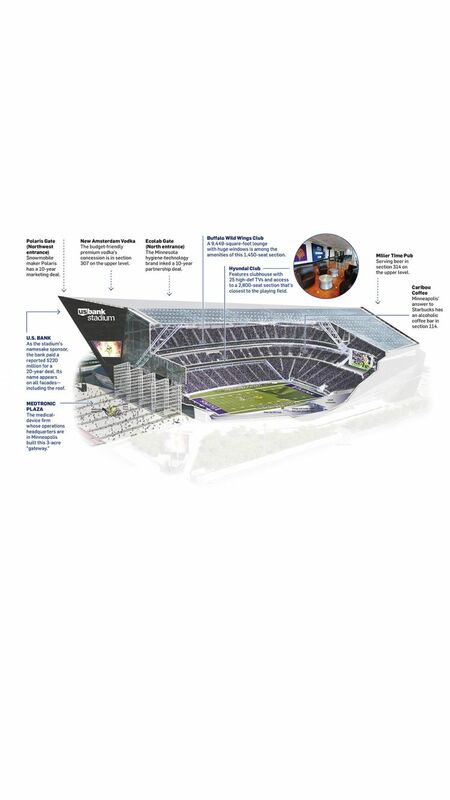 Such is the reality of the sports biz, of course: U.S. Bank shelled out a reported $220 million for this exposure, and a slew of other brands paid for smaller placements: the rights to name a seating section, for interior signage, for concessions and so on. 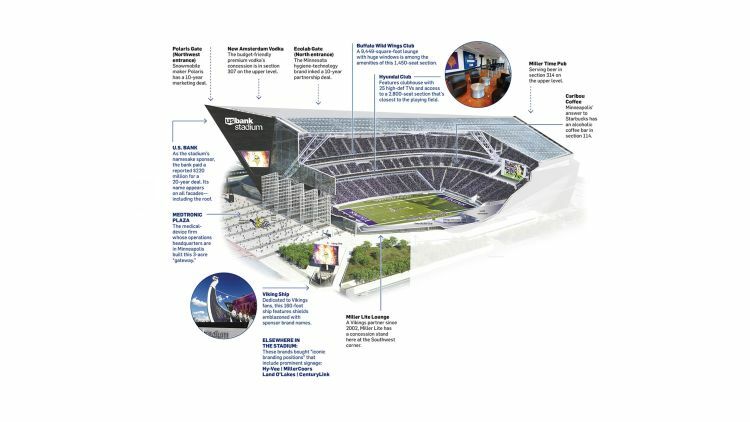 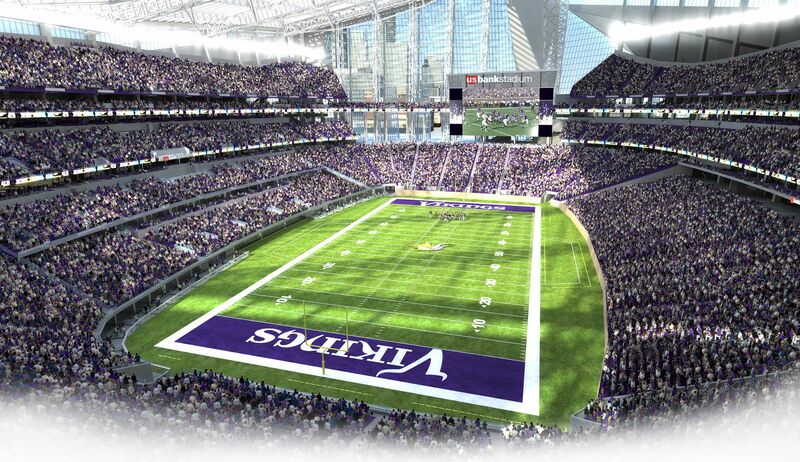 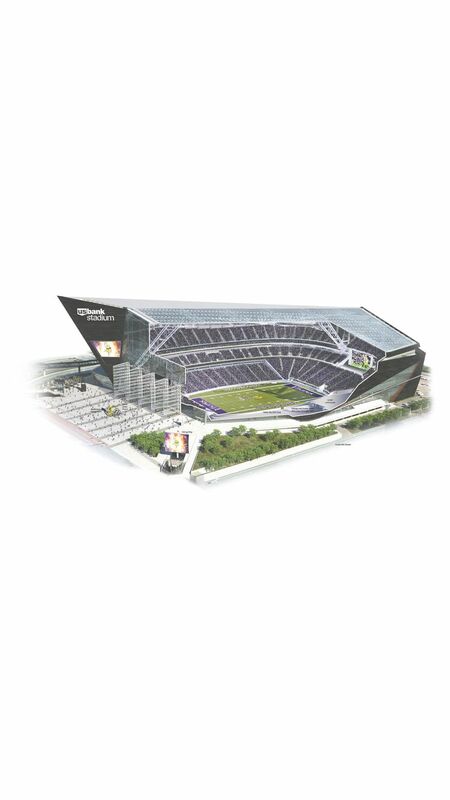 Granted, TV viewers won’t get to see most of these spaces inside the Vikings’ permanent home, but the 70,000 fans who fill the seats will and, according to Joe Favorito, who teaches sports marketing at Columbia University, that’s increasingly the point. 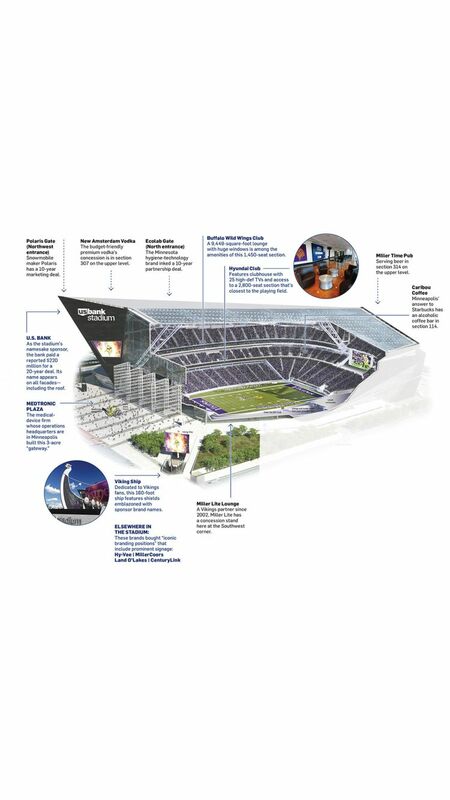 “The passalong effect from when people leave the building is important,” he said. 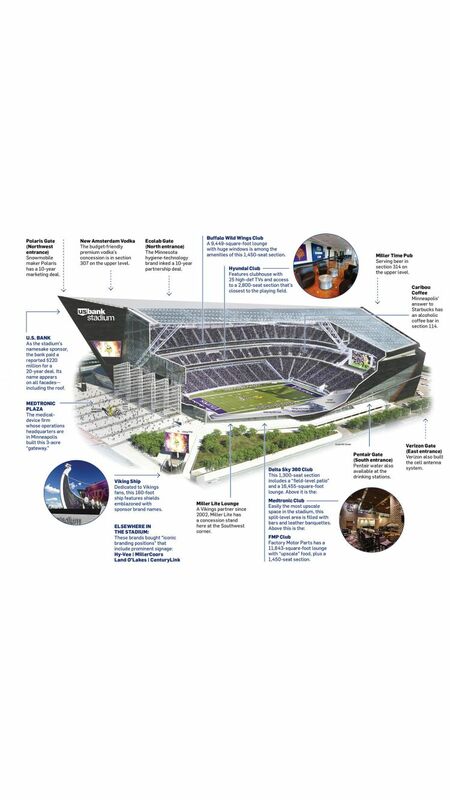 “Maybe they sample something, have a positive experience ... that’s a pebble in a pond.” So too are photos, disseminated via social media, that just so happen to show a branded space. 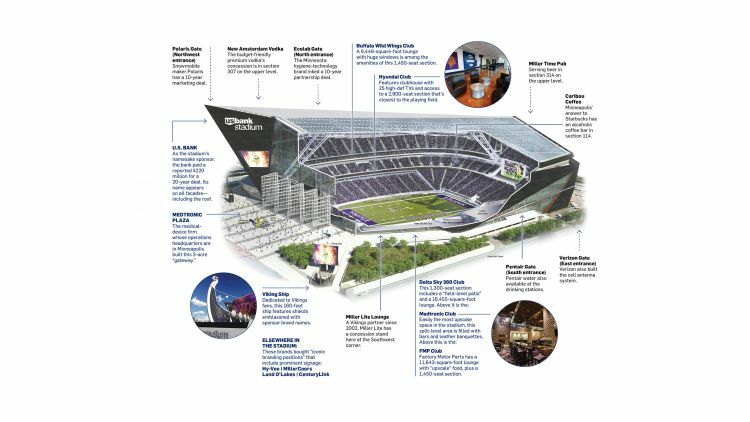 Below, a roundup of the brands that wrote a check to get their names in the house for America’s biggest sporting event.